Proper truck and tractor trailer maintenance is an extremely important safety measure protecting the public using our highways. After all, semi-trucks can weigh up to 80,000 pounds fully loaded, That 80,000 pounds – if it collides with a 3,000 pound car – can cause massive damage to the car and its passengers. 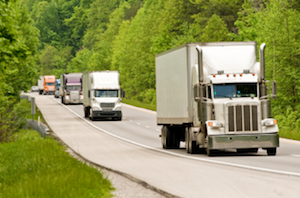 As Syracuse tractor trailer and truck accident lawyers, we know all too well how important proper truck maintenance is. We are not the only ones who think it truck maintenance is important. So too does our government. Under the federal regulations administered by the Federal Motor Carrier Safety Administration (FMCSA), trucking companies and their drivers are required to continuously inspect and maintain both the truck and the tractor trailer, and to maintain detailed records for each. Under FMCSA Regulation §396.11, truck companies must maintain accurate inspection reports for their vehicles. A truck driver is expected to fill out a truck and trailer inspection report for each and every day he is driving. The required report is detailed, and must cover equipment such as parking brakes, service brakes, steering wheel, windshield wipers, wheels, tires, rims, emergency equipment, lights, horn and rear vision mirrors. Truth be told: If you were to do a very careful inspection of almost any truck or tractor trailer on the road, you would probably find some pieces of equipment that are not properly maintained and have not been properly inspected. Too often truck drivers and their employers do sloppy or “quickie” inspections, and put off maintenance to save time and money. But the good news is that the driver and the company can be held LIABLE for injuries caused by their negligent inspections and maintenance. Our Syracuse tractor trailer and truck accident lawyers also know how extremely important it is that LOAD on the truck be properly secured. That’s why the FMCSA speaks to load capacity and security as well. If a truck or tractor trailer jackknifes or makes some other abrupt movement, the load should stay secured. If it does not, a proper inspection carried out by a tractor trailer and truck accident lawyer and his experts, whether in the Syracuse area or elsewhere in New York State, will likely reveal a loading flaw, error, or “shortcut” taken, all of which can be the grounds of a personal injury lawsuit against the trucking company and the driver. Because tractor trailers and trucks can cause so much destruction, federal and state laws require that they be well insured. While the minimal insurance on autos in New York is $25,000, for commercial trucks and tractor trailers it is either $1,000,000 or $2,000,000 depending on the type of truck and trailer. 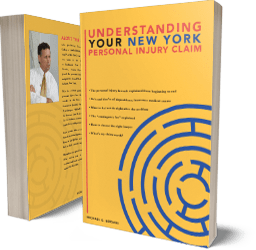 Because the injuries are usually severe, and the insurance money is plentiful, these types of cases are usually “hotly litigated”, meaning that both sides get very good lawyers who know how to do battle in court. When proper maintenance or inspections are at issue, the lawyers usually hire experts to help their side of the case. These are usually engineers or truck maintenance and inspection experts They will testify, based on their examination of the evidence, whether proper inspection procedures and maintenance were followed, and if not, whether that failure helped cause the accident. Sometimes, after an accident, the trucking company will “fix” or repair the malfunctioning part of the truck that is alleged to have contributed to the accident. For example, they might repair the brakes. Sometimes they will actually claim to have discarded or thrown out the old pieces when they replaced them with the new ones. This destruction of evidence can hinder the injured victim’s ability to prove that poor maintenance caused the crash. However, our courts have a remedy for this: If the defendant threw out or destroyed a critical piece of evidence, the court can instruct the jury that there is an inference they can draw from this fact that the trucking company had something to hide. This is called a “spoliation sanction”. Suing commercial trucking companies is not easy, and should not be attempted except by experience lawyers and law firms. Trucking companies hire the best defense lawyers to try to torpedo claims, including claims based on poor inspections or maintenance. You need to fight fire with fire by hiring at least an equally competent lawyer. Make sure the New York lawyer you hire is knowledge about the FMCSA regulations. For a free consultation, call the Syracuse tractor trailer and truck accident lawyers at Michaels & Smolak.